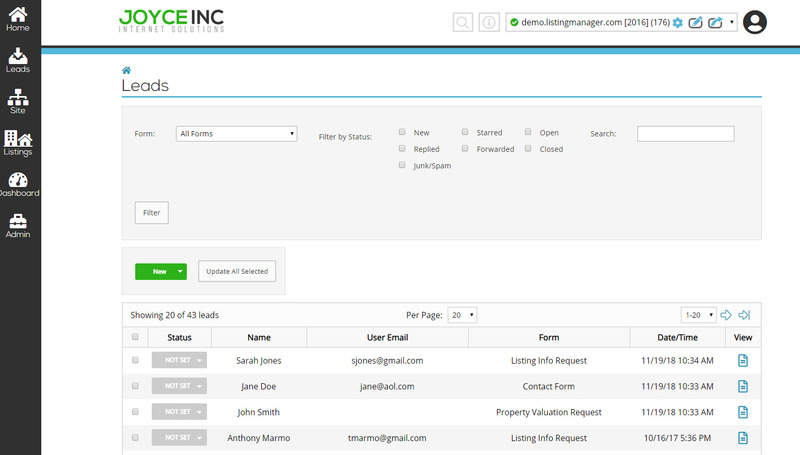 ListingManager™ is a product line available to real estate brokers and their teams. This service includes customized web design, powerful search features, online marketing tools and access to digital marketing specialists for real estate brokers and agents. 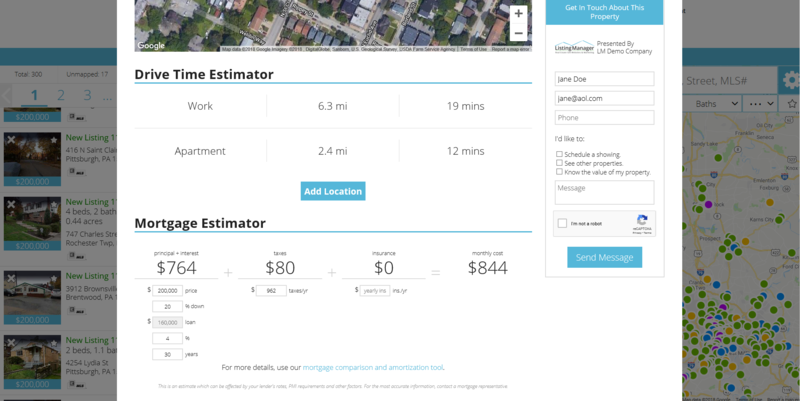 Your real estate website must be more than a placeholder. ListingManager™ websites are like agents that work 24/7, 365 to give a good first impression, help clients start their home-buying process, and demonstrate that your agency is the best choice for buying or selling property. All of our website are built with modern best-practices (we like to make people and Search Engines happy). Our in-house content writers and designers will craft your message into a web experience that works for your clients and for Google. ListingManager™ websites are filled with cues to convert users into motivated leads. Cultivate that relationship by viewing leads and users in the Lead Dashboard, then following up with confidence. We're all about making things easy. So we bake these handy tools into every ListingManager™ website for no extra cost. Joyce Inc. is a team of information technology and digital marketing consultants located in Pittsburgh, PA. 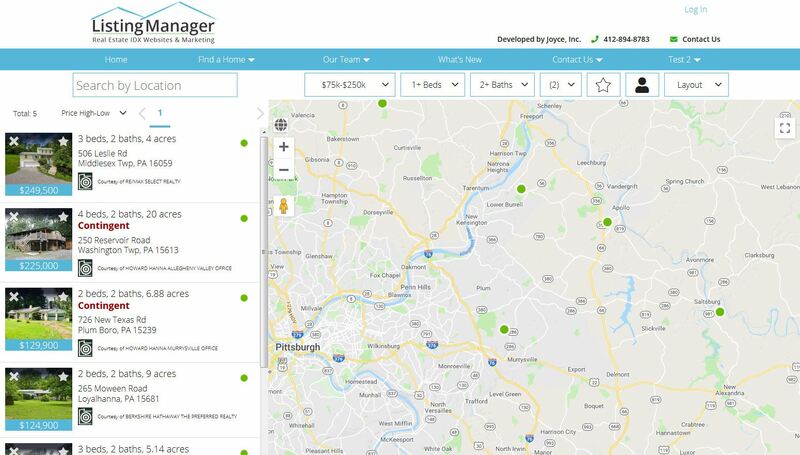 The ListingManager™ line of products is designed to help real estate companies and agents add technology and an Internet presence to their business in order to compete in today's market. In addition to developing user-friendly and search-engine optimized websites, we provide IDX service for MLS searches, website hosting, digital marketing services, graphic design, database design and custom application development. We'll set up a quick consultation, learn your goals, and get started on your new site. It really is that simple.